The use of global positioning systems (GPS), or more appropriately named ‘wearable technology’, in high-performance sport is becoming increasingly popular despite having a considerable price tag. As this technology is not only very expensive, but is also heavily contributing towards the inclusion and exclusion of athletes from training and competition, the validity and reliability of these devices is significantly important. Whilst GPS units have been shown to possess reasonable reliability when measuring long distances at slow-moderate speeds, they tend to struggle during short-distance, high-speed movements – particularly during rapid randomised directional changes. The tri-axial accelerometer appears to be a valid and reliable measure for quantifying acceleration forces in three perpendicular planes (x, y, and z). However, the use of the “Player/Body Load” value seems questionable due to the potential non-inclusion of rotational force data from the gyroscope, which may therefore underestimate sport-specific movements such as: tackling, jumping, and blocking. In support of this issue, movement classification has been shown to improve by 2-14% when the gyroscope data is combined with the accelerometer data. Despite this, at least to our knowledge, no evidence supports the validity and/or reliability of the gyroscope, magnetometer, or the heart rate monitor. All in all, these devices may be no better at monitoring performance than the equipment included within a typical smart phone (e.g. iPhone). This should not necessarily discredit their quality, as the equipment within both the wearables and the iPhone ‘may’ be highly-sophisticated and accurate, though there is limited evidence to support their efficacy. Global positioning system (GPS) units are a satellite-based navigational technology which has been used profoundly in professional sports in past years since its introduction in 1997 (1). This technology is currently being used to provide sports scientists, strength and conditioning specialists, performance analysts, and coaches with real-time and post-match analysis of the athlete(s) practice or competition-based performances. Whilst GPS is most commonly used in team sports such as Football (Soccer) (2-6), Rugby League (7-10), Rugby Union (11-16), Australian Rules Football (AFL) (17-22), Hockey (23-25), Netball (26), and Lacrosse (27), it has also been used in individual sports – namely, Tennis (28) and Cycling (29), and ski jumping (30, 31). As a result, perhaps simply referring to these devices as GPS units is slightly outdated, and a more accurate name such as ‘wearable technology’, or ‘wearables’ is more appropriate – though this is just a matter of semantics. What is important however, is understanding how these devices work, and whether or not they provide valid and reliable data that can be used to influence athletic performance. This article will therefore provide a step-by-step guide on these devices, and then discuss their efficacy for monitoring athletic performance. This information will then be extrapolated into various work-rate patterns and physical workload variables on a computer, but this will be discussed in further detail in Part 2 of this two-part review on wearable technology. So how do GPS units measure player movement? As GPS units use satellite-based technology, they operate by transferring data between the unit located on the athlete, and the available satellites orbiting the Earth (34, 35). This information/data is transferred using a sampling frequency* measured in Hertz (Hz). Meaning, the higher the sampling frequency, the more information transferred per second, thus theoretically resulting in a more accurate GPS unit. Although sampling frequency plays a large part in the accuracy/reliability of the GPS unit, other factors must also be considered: such as the number of available and connected satellites (32). *The sample frequency is simply the number of sample signals that are obtained per second (1-second), or in other words, how often the unit recalculates and reports its position. For example, a 1Hz unit will only obtain one sample per second, and in theory is therefore less accurate than a 10Hz unit, which will report its position 10 times per second. Over the past several years significant amounts of research has been conducted on the reliability of GPS units using these four different sampling frequencies. For the most part, continuous research identifies that with higher sampling frequencies comes greater reliability (32) – meaning 10 and 15Hz GPS units are typically more accurate and reliable than their 1 and 5Hz counterparts. Interestingly though, this is not always the case when assessing the reliability between 10 and 15Hz models. More details on this will be discussed in the ‘Validity and Reliability of Wearable Technology’ section below. What is the Tri-axial Accelerometer? Wearable technology, or GPS units, are now commonly fitted with a piezo-electrical tri-axial accelerometer (36). This device has been incorporated in an attempt to record data on sport-specific movements such as tackling and collisions in rugby (37). Therefore, this is the device which records and reports player impacts, collisions, and is used to calculate ‘Player/Body Load’, and the ‘Dynamic Stress Load’ amongst others (33). This technology is realistically nothing new, and has been used in the past to detect common human movements in the general population such as: sleeping, sitting, lying, walking, running, and jumping (38, 39). In fact, this technology is in-built into common smart phones (e.g. iPhones), and is in essence the same device used to monitor sleep patterns in common applications available in the App store (e.g. Sleep Cycle ). An accelerometer calculates acceleration in meters per second squared (m/s), or in G-forces (g). A single G-force for us here on planet Earth is equivalent to the pulling force of gravity (9.81m/s). As an accelerometer only measures acceleration, once acceleration becomes constant, or in other words reaches zero, then the device records zero. Purely for example purposes, imagine a 100m sprinter achieving maximal velocity. Though they may be moving at approximately 40km/h (maximal velocity), their forward acceleration may read zero. This is an important concept to understand when learning what an accelerometer can, and cannot, do. The tri-axial accelerometer produces data by recording the total amount of accelerations in three perpendicular axes (x, y, and z) – these are: medial-lateral, anterior-posterior, and vertical. By measuring the frequency and magnitude of these movements (i.e. how often they occur and how big they are), the accelerometer is able to calculate the total ‘G-forces’ the athlete is exposed too, otherwise known as the ‘composite vector magnitude’ (33, 41). The total G-forces experienced by the athlete during each “collision” or “impact” are then categorised into different intensities/zones – this will be discussed in further detail in ‘Part 2 – Variables and Application’. The video below provides a quick and simple demonstration on how a piezo-electrical tri-axial accelerometer actually works. Though it is important to understand that the accelerometers incorporated in the ‘wearable technology’ are much smaller and ‘potentially’ more technologically advanced. Though this information may seem overcomplicated, it is vital that the sports scientist understands this in order to comprehend the issues with this micro-sensor (i.e. device), and why there is a need for additional micro-sensors. A gyroscope is a device that uses Earth’s gravity to help determine its orientation. 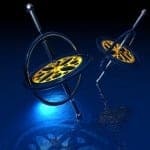 The design of a traditional gyroscope consists of a freely-rotating disk called a rotor, mounted onto a spinning axis in the centre of a larger and more stable wheel. As the axis turns, the rotor remains stationary to indicate the Earth’s central gravitational pull, or put simply for us on Earth, which way is ‘down’. Figure 1 displays a traditional gyroscope, though this is very different to those included in the wearable technology, most people are familiar with this device and thus gain better appreciation for how this sensor works. So why is this one of the micro-sensors? Recall previously that the tri-axial accelerometer can measure vectors in three different perpendicular planes (x, y, and z). Whilst this is very useful, it does not have the ability to measure angular acceleration. In other words, a tri-axial accelerometer cannot detect rotation, or tilt, but the gyroscope can. For another example, whilst an accelerometer can detect an athlete’s movements in the medial-lateral/frontal (x), anterior-posterior/sagittal (z), and vertical (y) planes of motion, it cannot detect any movements in the rotational/transverse plane. As a result, this is where the gyroscope plays its part, this micro-sensor is able to estimate rotational acceleration, and thus potentially enhance the detection of collisions (42). 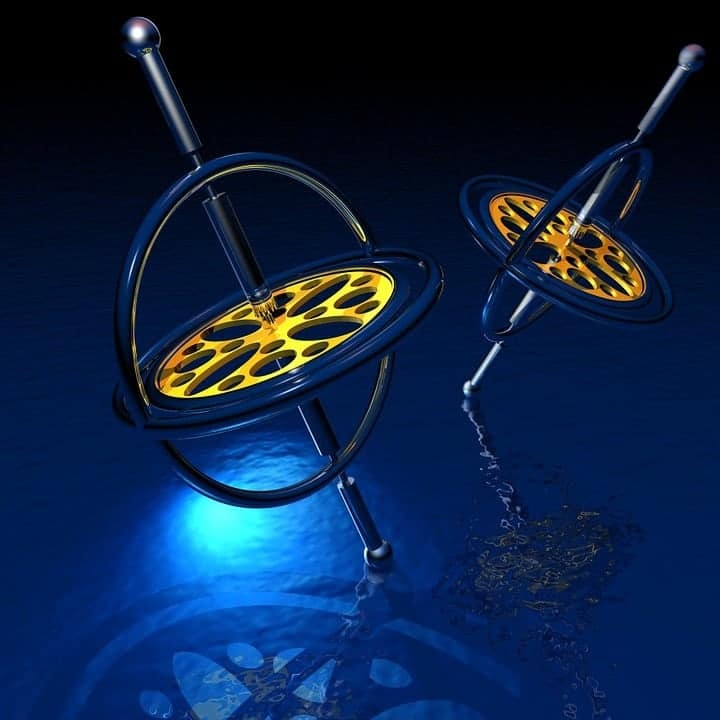 To make things slightly more complicated, the gyroscopes incorporated into the wearables measure 3-dimensional rotation. However, do not be too concerned as this is actually relatively straightforward, and Figure 2 demonstrates this nicely. Whilst pitch measures rotation in the perpendicular axis, roll measures rotation in the longitudinal axis, and yaw measures rotation in the lateral axis. Collectively measuring rotational forces using a 3-dimensional gyroscope, allows the wearable units to calculate rotational accelerations in all three axes during sport-specific movements such as: swimming strokes and turns, kicking in team sports, and tackling in contact sports. So essentially, the gyroscopes included in these wearable devices provides vital information of the body’s (athlete’s) rotational movement in space. This data is supposedly then used in the algorithms when calculating sport-specific movements such as tackles and collisions. In simple terms, a magnetometer is just an electronic compass. This micro-sensor is able to detect “true” north using the Earth’s magnetic pulse. These sensors technically have two axes: “true” north (y), and east (x). However, because it can determine “true” north and east, its centre can in fact determine its orientation – that being, is the unit facing ‘upwards’, or ‘downwards’. In other words, as these devices have two axes, with one identifying “true” north, they can determine the orientation of the body (athlete) in space. For example, when the athlete has fallen over, or is lying face down on the floor, the magnetometer can provide data on the orientation of the athlete (i.e. face down or face up). Quite simply, the magnetometers are incorporated into the wearables in combination with the GPS unit to determine the athlete’s position/orientation on Earth, and which direction they are facing and/or moving. This is particularly important when coaches are using real-time analysis and want to track their athletes’ movements on a digital field on the computer – which can also then be extrapolated into heat map graphs. These devices are realistically nothing complicated, and are seldom transparent, unlike the previous micro-sensors discussed. These micro-sensors are simply programmed to receive and record the heart rate data collected by the heart rate belts wrapped around the athlete’s chest. This data is stored on the wearable micro-unit, and then fed into the computer once connected via the docking station. Although the use of wearable technology in sports is a novel concept, and one that is highly-regarded at present within most professional environments, there is still an abundance of concern regarding the validity and reliability of the equipment. For sales purposes these concerns are often deflected, leading to misinformed professionals, or perhaps there is even naivety amongst sports scientists regarding the magnitude of these issues. Regardless, the aim of this section is to highlight some of these underlying problems that should be fully understood. As previously discussed, the sampling frequency refers to the speed of which the unit gathers data (32). The current body of research indicates that units with a higher sampling frequency (i.e. 10 and 15Hz) provide greater reliability for measurement of distance. However, the sampling rate of a 15Hz unit is in fact calculated by supplementing a 10Hz GPS sampling rate with accelerometer data (43, 44). As a 15Hz sampling rate GPS is actually indirectly produced using calculus, there is great need for future research in order to verify the validity and reliability of this method. In fact, a 2014 study demonstrated that a 10Hz GPS unit had greater validity and inter-unit reliability than a 15Hz GPS unit when measuring total distance (44) – perhaps suggesting that a 10Hz unit is more accurate and reliable than a 15Hz GPS. Regardless of the variations between 10 and 15Hz units, these have both been repeatedly proven to be more reliable at monitoring performance than 1 and 5Hz models (44). Speed of Movement – Consistent amounts of research have shown that the slower the movement velocity of the athlete, the more accurate the GPS technology becomes and vice versa – the faster the athlete’s velocity, the less reliable the device. For example, one study demonstrated that the GPS was capable of accurately measuring an athlete’s movements at <20km/h, but struggled once speeds reached >20km/h (45). This would make sense given that the athlete is travelling larger distances, but with the same sampling rate. This information suggests that caution should be taken with the reliability of the data if the athlete(s) was achieving velocities of >20km/h. Short-distance, high-speed movements – Most research on GPS technology has been conducted using linear running patterns consisting of moderate-long distances, with little research looking at intricate movements and random changes of direction typically seen in most sports (46). To our knowledge, only two articles have been published to date identifying the validity and reliability of intricate and sport-specific movements using GPS technology (46, 47). One study identified that 1 and 5Hz GPS units significantly underestimated total distance, and speed of sport-based movements when compared to a high-resolution camera system (47). The second also suggests low inter-unit reliability and therefore advises practitioners to take caution when using GPS to monitor distance and speed – particularly when distance is short, and speed is high (46). Despite this, it is currently understood that GPS systems provide acceptable levels of accuracy and reliability when measuring moderate-long distances whilst running at slow-moderate speeds, but this is largely reduced when measuring higher speeds over shorter distances (47, 48). Put simply, practitioners should take caution when analysing data derived from short-distance, high-speeds movements (e.g. small-sided games). This calculation method is reliable in a sporting context. Whether any of the leading wearable technology manufactures in sport use any of this software whatsoever. Consequently, using GPS systems in urban areas, in sport complexes, or even in areas surrounded by dense foliage, can potentially reduce the reliability of the data, suggesting significant caution should be taken if this is attempted. Without going into too much detail, satellite geometry can also affect the accuracy of GPS positioning. This effect is called Geometric Dilution of Precision (GDOP). Typical GPS receivers usually report the quality of satellite geometry by reporting the “Position Dilution of Precision”. In certain devices, you can typically check the quality of the satellite configuration your receiver (i.e. GPS unit) is currently using by looking at the PDOP value. A low Dilution of Precision indicates better accuracy, and a high value indicates lower accuracy (34). However, to our knowledge, the commercially available GPS units used for monitoring athletic performance, do not allow coaches to determine this quality of precision – suggesting the need for this feature. As wearables are notorious for lacking reliability during short-distance, high-speed movements (e.g. accelerations) (51), the accelerometer data is often combined with the GPS data in an attempt to improve its reliability. Yet, to our knowledge, no research has proven the validity or reliability of such a method. In fact, one study reported that the 10Hz unit was more reliable at predicting movement demands than the 15Hz models (44). Interestingly, though the authors were aware of the issue when measuring short-distance, high-intensity movements, they did not measure accelerations or decelerations. As a result, perhaps combining accelerometer data with GPS data to improve the accuracy of short-distance, high-speed movements actually has an opposite effect – meaning the reliability is reduced, and maybe it is better to just use 10Hz units. A growing amount of research has attempted to use the tri-axial accelerometer to assess sport-specific activities (52-55). Both interestingly and importantly, one study identified that this micro-sensor is a reliable and useful tool for measuring low- and high-intensity locomotive movements in Australian Rules Football, and that this can be used to monitor loads over time (e.g. a season) (55). However, it was reported that this sensor, and variable (Player Load), fails to account for skill- and contact-based activities such as: jumping, kicking, tackling, passing, blocking and so on and therefore may underestimate actual workloads. Therefore, the “Player/Body Load” variable which appears to be derived purely from the accelerometer data (see formula below), and is often monitored by sports scientists, remains questionable as it may underestimate total workloads (33, 56). Another area of concern regarding this variable, is the unclear contribution of gyroscope data in the quantification of the Player/Body Load. Or in other words, if the gyroscope data is used with the accelerometer data to determine the Player/Body Load value. Despite sifting through the research, emailing experts in this field, and even contacting the lead manufacturers of this technology – receiving no response – it is unclear whether the gyroscope data has any contribution to this value. Of interest, two studies have used the gyroscope in combination with the accelerometer to calculate collisions in Rugby League and Australian Rules Football (57, 58). However, what is very interesting is that both of these studies only used the gyroscope to determine if the athlete was standing up (vertical), or in some degree of ‘lean’ (horizontal), and thus identify if they were performing a tackle or not. At no point have the authors reported that they used the sum of rotational forces from the gyroscope, in combination with the sum of perpendicular forces from the accelerometer, to calculate a “total” impact score in G-forces. For a better example, imagine a Rugby player tackling an opponent head on at 10 G-forces (recorded by the accelerometer). In this form of tackle, the rotational forces may be minimal because there is not a great deal of rotation. However, imagine a player now tackling their opponent at 10 G-forces (recorded by the accelerometer) on an angle as they attempt to run past them. In this scenario, the total rotational acceleration forces may look much different (e.g. much bigger), and thus report much larger G-force summations. As no researchers have clearly stated how they have used the gyroscope data to assess the intensity of tackles, then this information must be interpreted with caution. To summarise, the formula for calculating the “Player/Body Load” value appears only to be the sum of all accelerometer forces during that particular training session or tackle. The issue with this, is that it does not appear to include any of the gyroscope data. Therefore, it may not include any of the rotational forces that would most definitely occur during a rugby tackle for example, and as a result only “paints half the picture”. This error of not including gyroscope data, appears continuous throughout the research conducted on attempting to measure physical workloads (53-55). If the researchers did incorporate the use of the gyroscope data, then this needs to be clearly explained during their methodology. Without this information, it appears that there is a significant flaw in the quantification of “impacts” or “Player/Body Load”. Therefore, the Player/Body Load variable and any others (e.g. dynamic stress load and step balance) must be interpreted with caution. To add to the complexity of the issue, the algorithms used to quantify the Player/Body Load and the other variables, must also be valid and reliable, but that is beyond the scope of this article. To our knowledge, and after contacting several research specialists in the field of wearable technology, and contacting some of the major manufacturers of this technology (with no response), there appears to be no published evidence regarding the validity and/or reliability of these sensors. This therefore raises concerns with quantifying this data. Troublingly, whilst no research has examined the validity or reliability of the gyroscope, it has been shown that combining both gyroscope and accelerometer data improves the accuracy of movement classification by 2-14% (59, 60). This simply suggests that incorporating the use of the gyroscope data, may improve the accuracy the results. Furthermore, it has also been suggested that placing accelerometers and gyroscopes on each limb – as often done in biomechanical research – would also improve the accuracy of the results, rather than simply having one unit placed on the centre of the upper back (59). It is fully understood that this concept would cause practical issues during training or competition, but it simply highlights the issues and the need for technological development to enable such high-performance practices. GPS logger – enables you to use the Maps application and determine position. Magnetometer – enables you to identify the direction you are facing when using Maps. Accelerometer – allows the user to shake the phone to undo typing errors. Gyroscope – enables the user to change the screen view from portrait to landscape. At present, there is very little information as to what specific micro-chips are included within the wearable units. Hypothetically, we do not know if the accelerometer is a Toshiba GV56X micro-chip (we made that up), and consequently we do not know its reliability. As technology advances, and the micro-chips change, the research also needs to stay up-to-date to ensure they are reliable. Nonetheless, the table below (Table 1) compares the technical specification between common brand wearables and the iPhone. In fact, one recent study (63) has recently proposed a method using a single accelerometer contained within a smartphone worn on the upper-back, with the aim of identifying seven different sporting activities (stationary, walking, jogging, sprinting, hitting a ball, standing tackle, dribbling a ball) (59). Thus an interesting research project, would be to compare the reliability of smartphone data in comparison to the wearable units typically used in sport. GPS appears moderately reliable for measuring player locomotion, but struggles during high-speeds, and during short and fast changes in direction. Sampling rate and satellite availability effect the reliability of data collection. The tri-axial accelerometer appears to be reliable for calculating low- and high-intensity locomotive movements, but only records three perpendicular planes of motion. There is little clarity regarding the inclusion of the gyroscope data to measure impacts and collisions, suggesting the use of the Player/Body Load variable, and others, remains questionable. Including the gyroscope data improves movement classification by 2-14%. The algorithms used to quantify Player/Body Load also play a significant role in the validity and reliability of the data, yet this is unknown. The validity and reliability of the gyroscope, magnetometer, and heart rate monitor are all unknown. The technology included within the wearables may be comparable to that within the common smart phone. Gabbett T. Quantifying the physical demands of collision sports: does microsensor technology measure what it claims to measure? J Strength Cond Res. 2013;27(8):2319–22. Boyd, L., Ball, K., Aughey, R.J., 2011. The reliability of MinimaxX accelerometers for measuring physical activity in Australian football. International Journal of Sports Physiology and Performance 6, 311-321. Understanding the Global Positioning System. 2016. Understanding the Global Positioning System. [ONLINE] Available at: http://www.montana.edu/gps/understd.html. [Accessed 08 March 2016]. TEAM PERFORMANCE MONITORING – Catapult Innovations Pty Ltd. 2016. 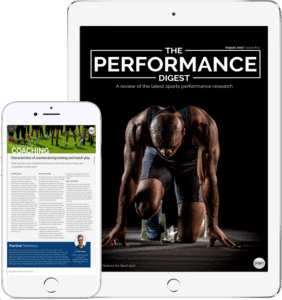 TEAM PERFORMANCE MONITORING – Catapult Innovations Pty Ltd. [ONLINE] Available at: [Link] [Accessed 08 March 2016]. Sleep Cycle alarm clock on the App Store. 2016. Sleep Cycle alarm clock on the App Store. [ONLINE] Available at: [Link] [Accessed 18 March 2016]. ios – Changes in accelerometer / gyroscope limitations for iPhone 5 / 5th Gen iPod Touch? – Stack Overflow. 2016. ios – Changes in accelerometer / gyroscope limitations for iPhone 5 / 5th Gen iPod Touch? – Stack Overflow. [ONLINE] Available at: [Link] [Accessed 09 March 2016]. TrackAddict Documentation – Accuracy. 2016. TrackAddict Documentation – Accuracy. [ONLINE] Available at: [Link] [Accessed 09 March 2016].